Bringing international cities to Toronto audiences. A snapshot of where’s hot right now. This year’s spotlight: Seoul, South Korea. 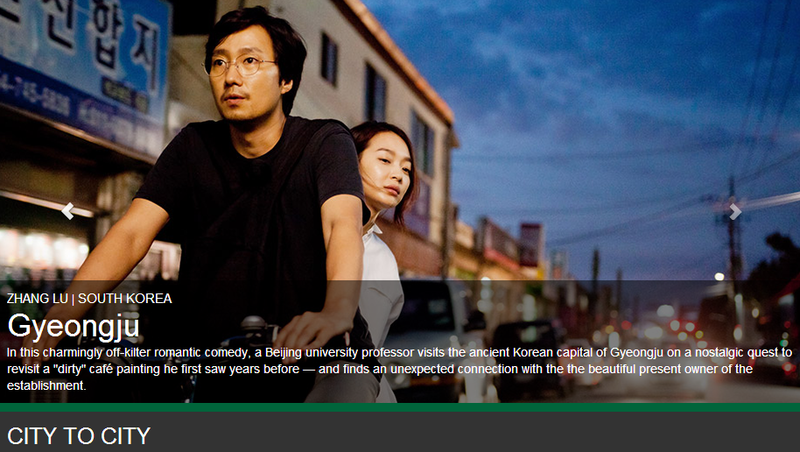 Park Hae-il and Sin Min-ah are going to the 67th Locarno International Film Festival with “Gyeongju”. LIFF was established in 1946, seeking revolutionary and subversive genre of films and is the oldest, the most prestigious festival in Europe along with Berlin, Cannes and Venice. “Gyeongju” is the love story between Choi Hyeon, a mysterious man who moves to Gyeongju to look for someone and Gong Yoon-hee, a clumsy and random tea house owner. The Locarno International Film Festival is held from the 6th of August to the 16th. As the capital during the Silla period (57 BC-AD 935), which is frequently mentioned in middle and high school history textbooks, Gyeongju in North Gyeongsang has always been considered a solitary place full of historical artifacts and cultural heritage. 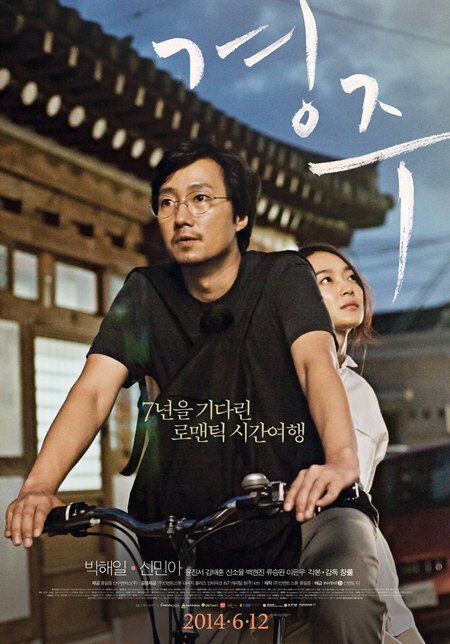 However, in the new film “Gyeongju,” which opened in local theaters June 12, the city takes on a new image where “life and death coexist,” according to the movie’s Korean-Chinese director, Zhang Lu. “As the first film to shoot in my 30s, I wanted to show a different aspect of me,” the actress, who just turned 30, told the JoongAng Ilbo, an affiliate of the Korea JoongAng Daily. Q. Was it a challenge to try out an art film for the first time? A. I was deeply impressed when I watched Zhang’s previous films like “Dooman River”  and “Scenery” . His talent in unraveling a story by using spatial factors and behind-the-scene stories is magnificent. Before I started shooting, I started to build up my character step by step by having a lot of discussions with the director. Your character Yoon-hee is very ambiguous. Were there any difficulties playing her? Yoon-hee is a woman who is unable to break free from the sadness of bereavement. Yet she is also not completely overwhelmed by her own melancholy because she knows she has to live on. I think that side of Yoon-hee, who keeps her emotions to herself, is very much like the movie’s theme, which claims Gyeongju is where life, death and love coexist. What was the hardest part of expressing Yoon-hee? In the movie, there is a scene where Yoon-hee takes professor Choi to a gathering of her close friends right after they hit it off at her tea shop. I thought it happened all too quickly. But when I saw the final version, I came to realize that this is who Yoon-hee was: a grown-up female who still possesses a very childish side. What was it like to film in the city of Gyeongju? I stayed in Gyeongju for half a month last summer for the shoot. The fresh air of the city in the evening is impeccable. I even got lost while talking a stroll around the city with the director and Park. Are you planning to handle both artistic and commercial films at the same time in the future? I just set foot into the world of the art film industry. I want to do many more movies regardless of their genres.